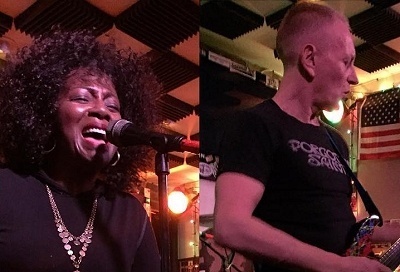 Def Leppard guitarist Phil Collen and Delta Deep played a surprise show in Paso Robles, CA on 9th January and photos are available. A city played by Def Leppard last year and in 1999 at the California Mid-State Fair. "@deltadeepblues snuck into @pasopourhouse tonight and killed it!." It seems the venue had to deal with rumours before the show of Def Leppard themselves appearing - see Facebook posting below. The main tour continues tonight in Santa Cruz, CA (and the band have posted a short video on their way to this show).